A.R. Adams Funeral Directors Ltd is an independent, family run company. Established in Bow, London in 1900, it is now in it’s 5th generation. With offices in Rayleigh and Thorpe Bay, A.R.Adams serves the community in all surrounding areas. 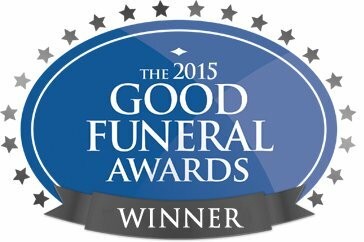 In 2015 we had the honour of winning the nationwide award for UK Funeral Director of the year. Those who work here are a team of dedicated professionals who place the utmost importance on giving respect and dignity to every person we care for. Please feel free to browse these pages to find out a little bit more about us. You are also welcome to contact us with any questions you may have.